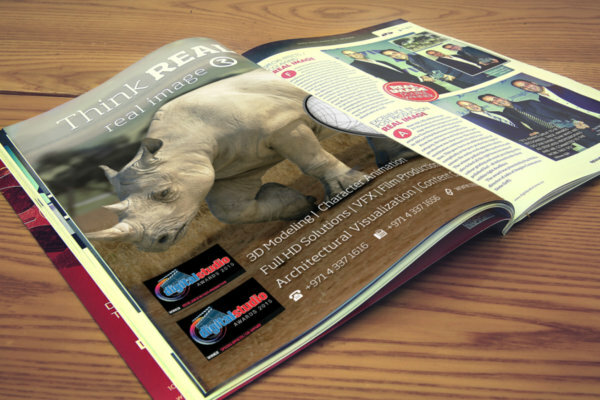 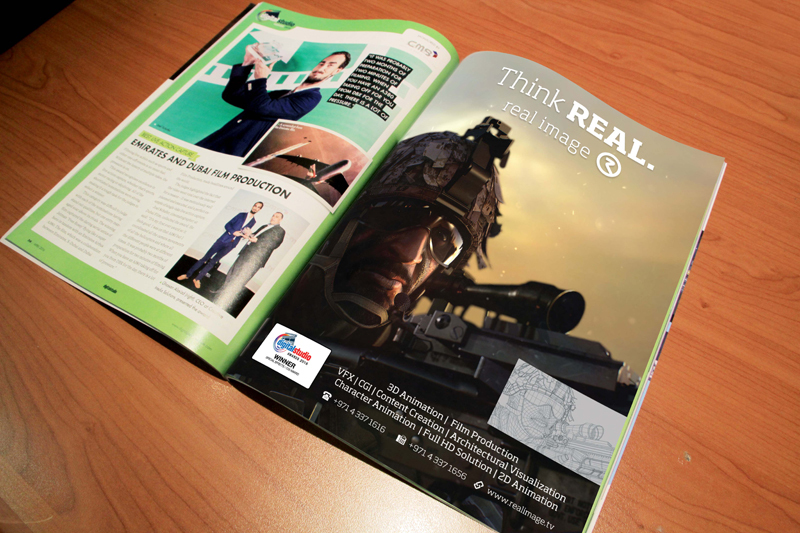 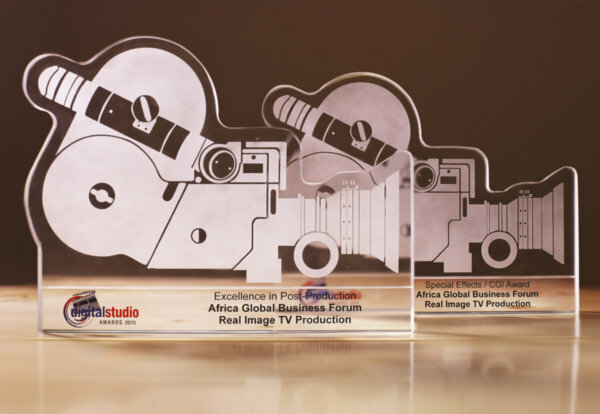 REAL IMAGE TV PRODUCTION, MADE IT AGAIN THIS 2015! 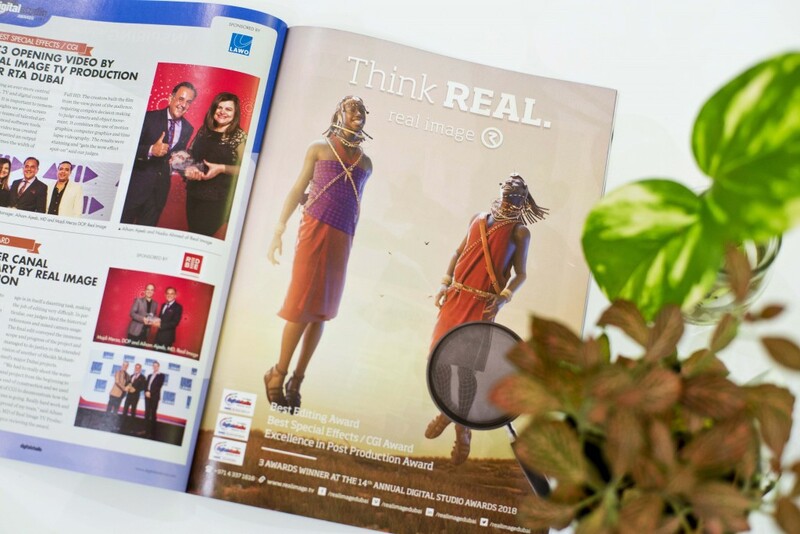 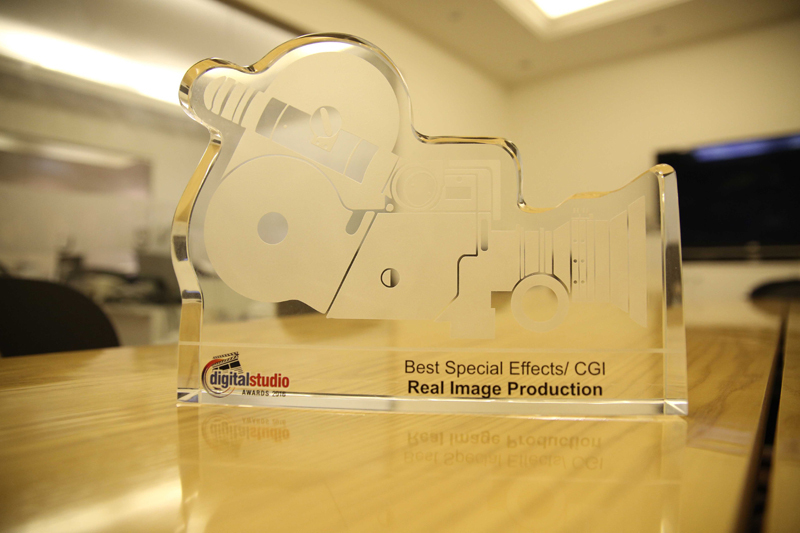 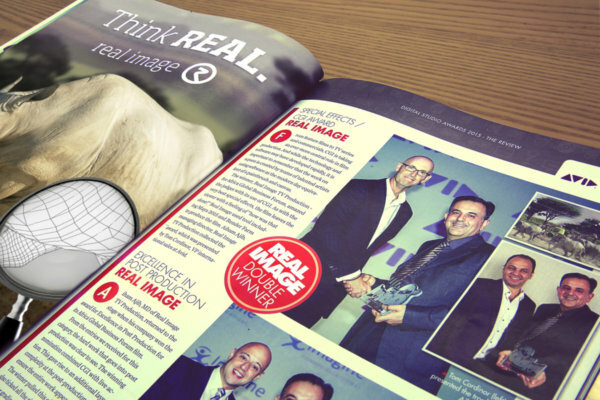 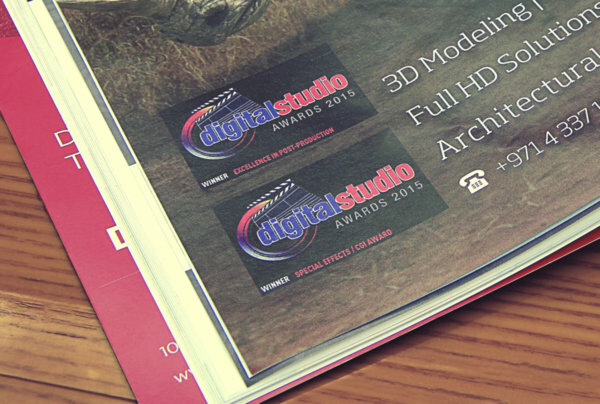 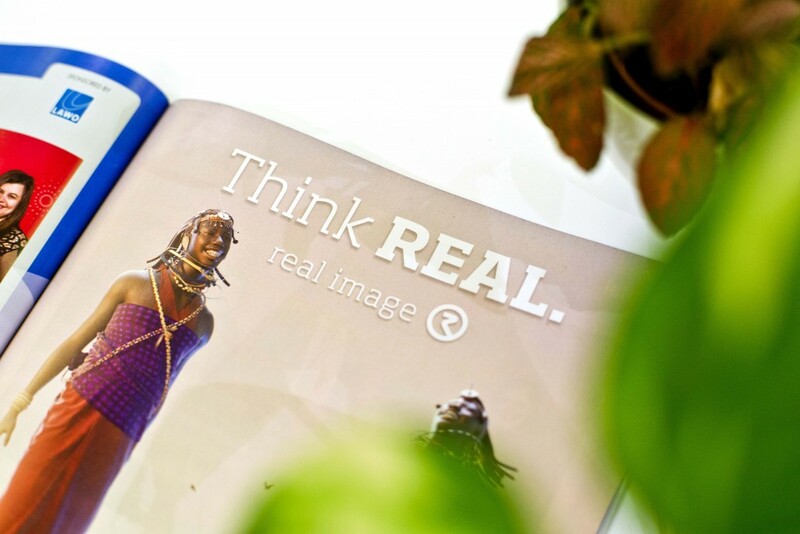 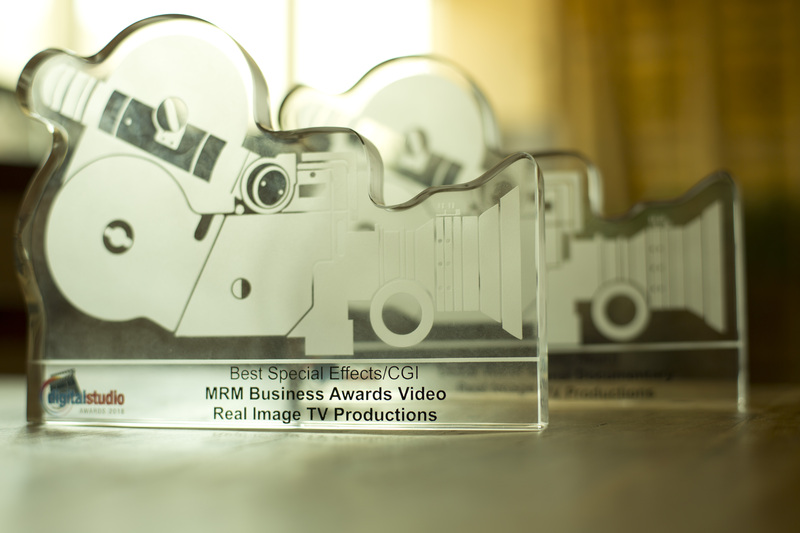 We are proud to announce the REAL IMAGE Production bagged 2 awards for Digital Studio Awards 2015. 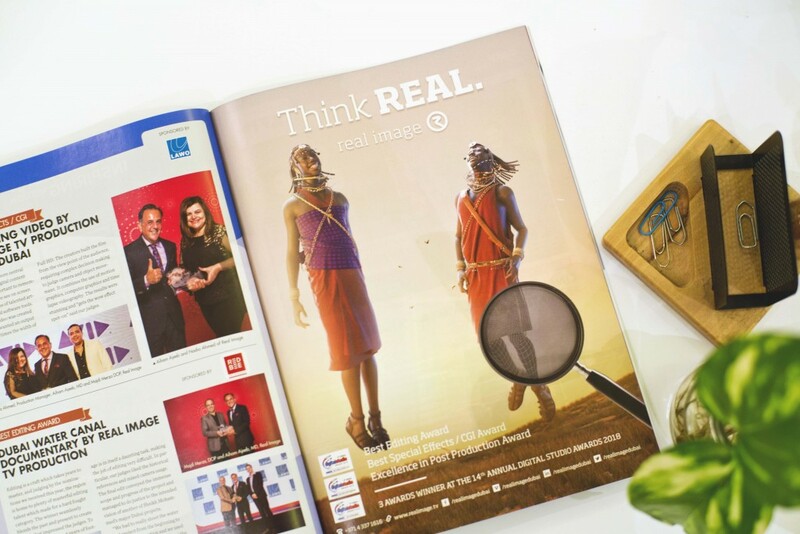 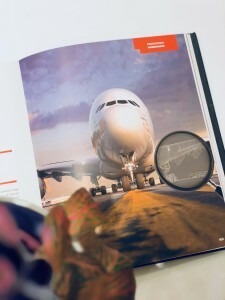 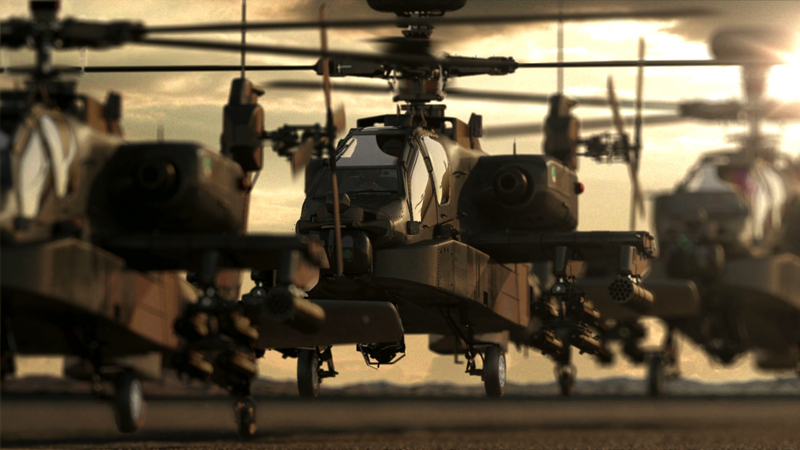 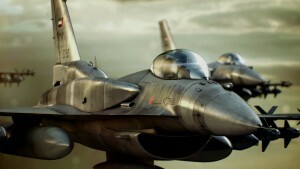 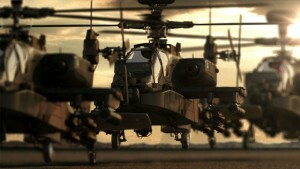 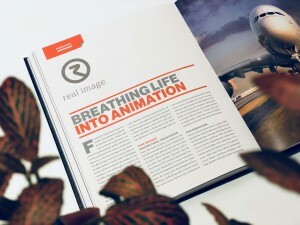 Our Africa Global Business Forum video won the Special Effects / CGI Award. Aiham Ajib, MD of Real Image collected the award. 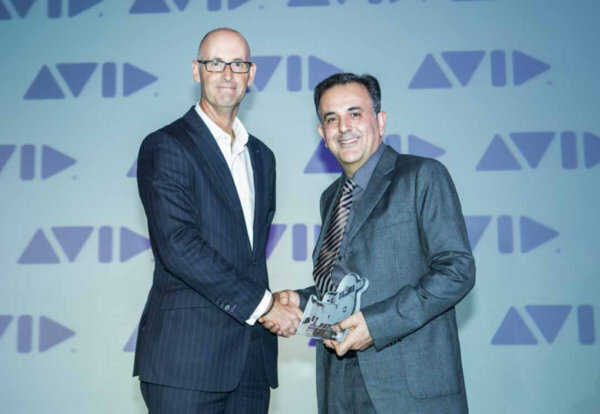 The category was sponsored by Avid. 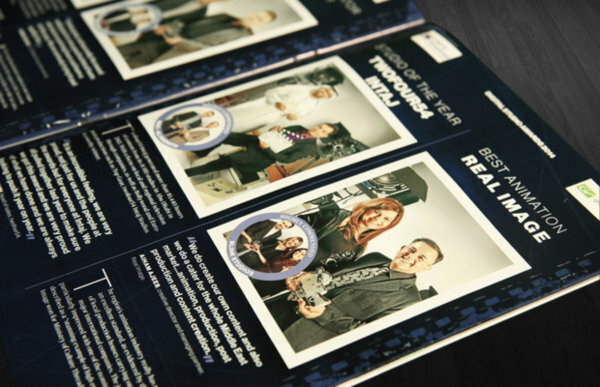 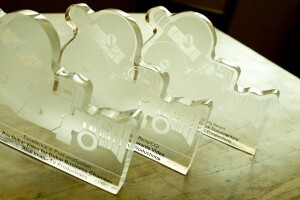 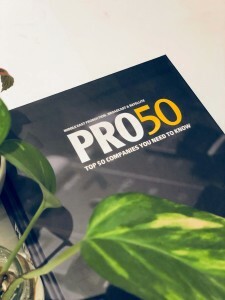 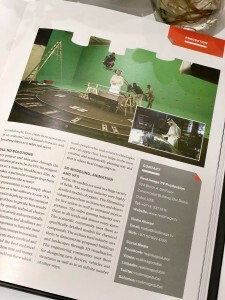 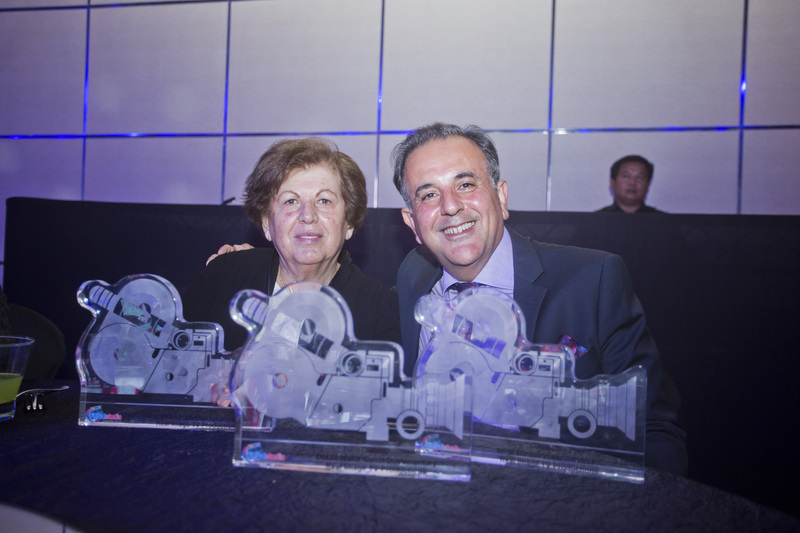 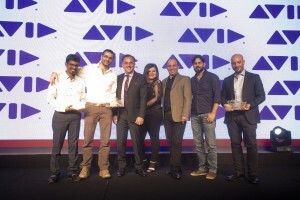 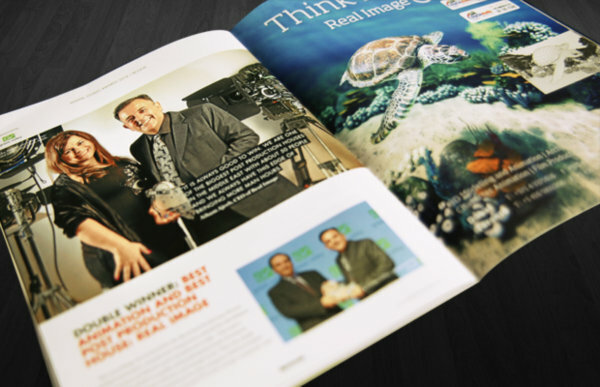 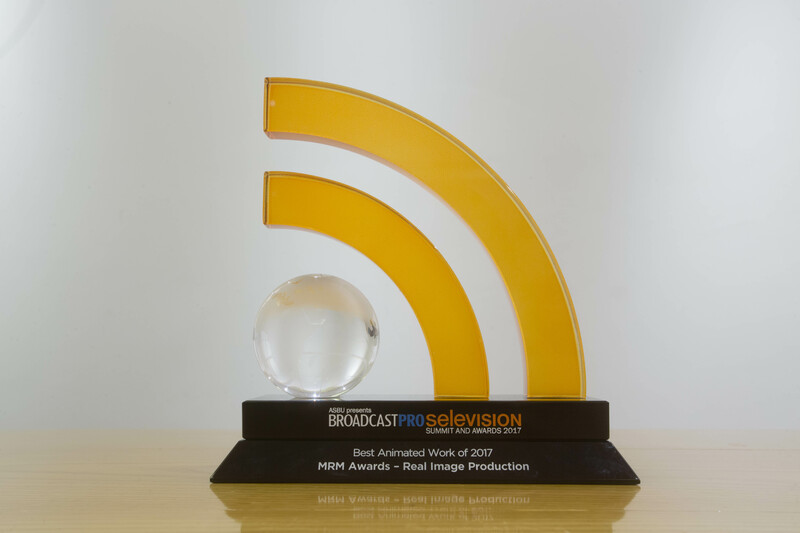 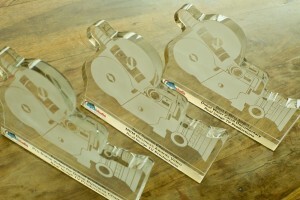 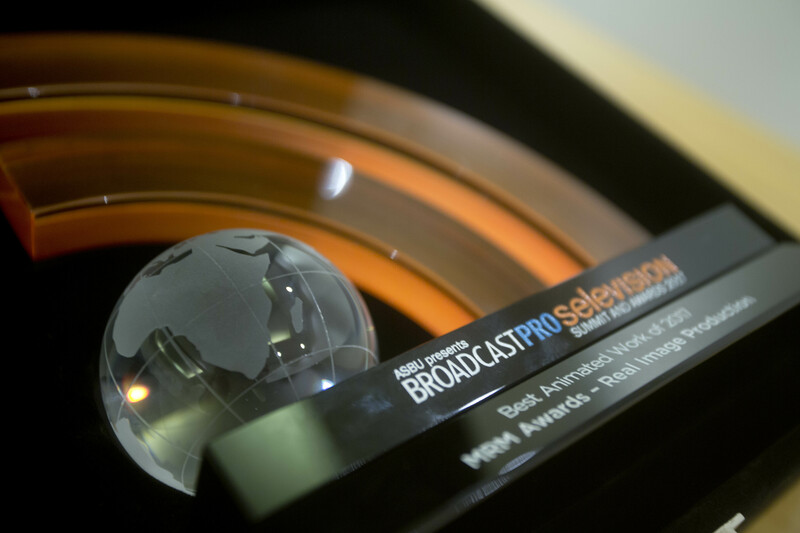 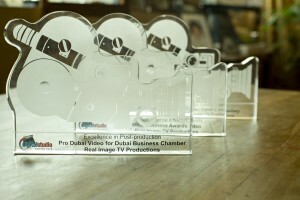 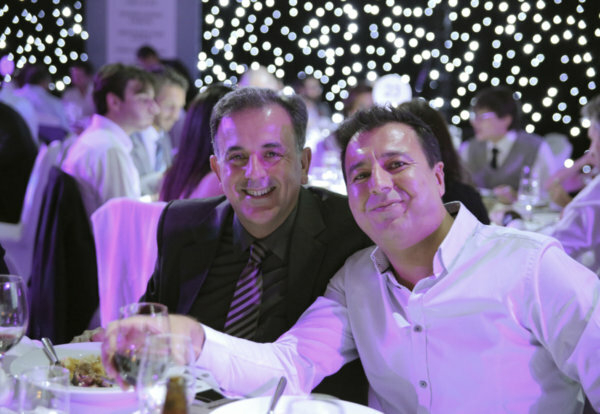 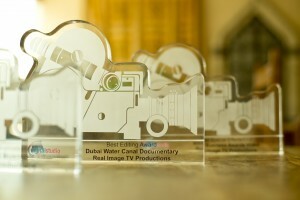 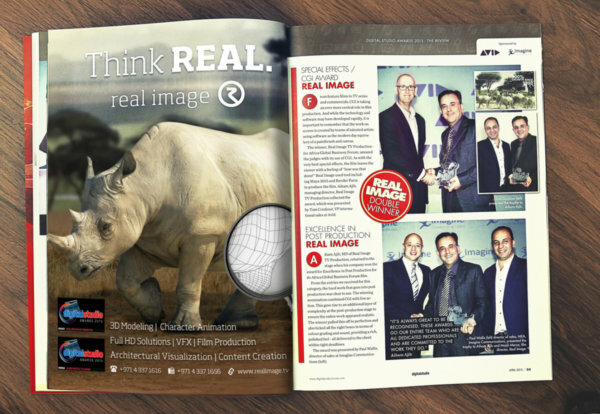 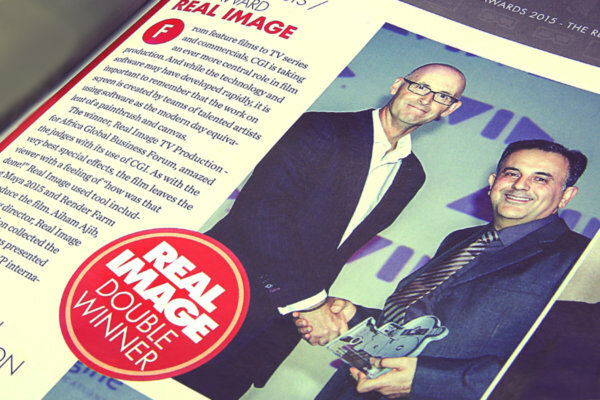 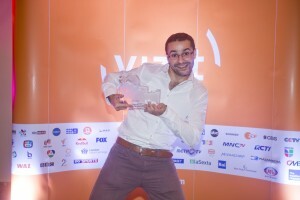 The Excellence in Post Production award saw Real Image TV Production return to the stage. 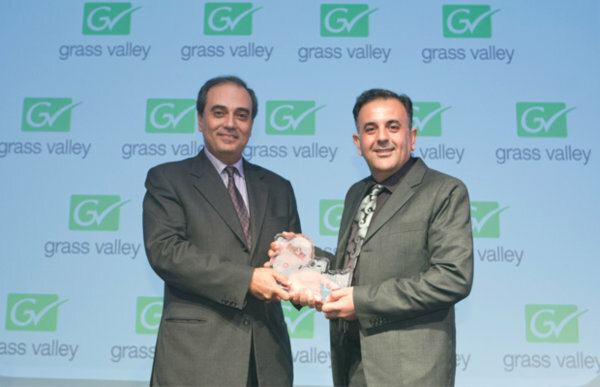 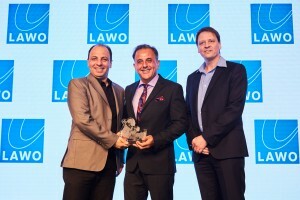 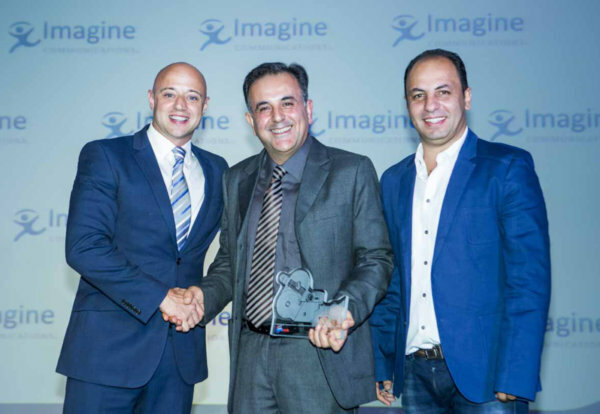 Paul Wallis of Imagine Communications presented the award to Aiham Ajib. 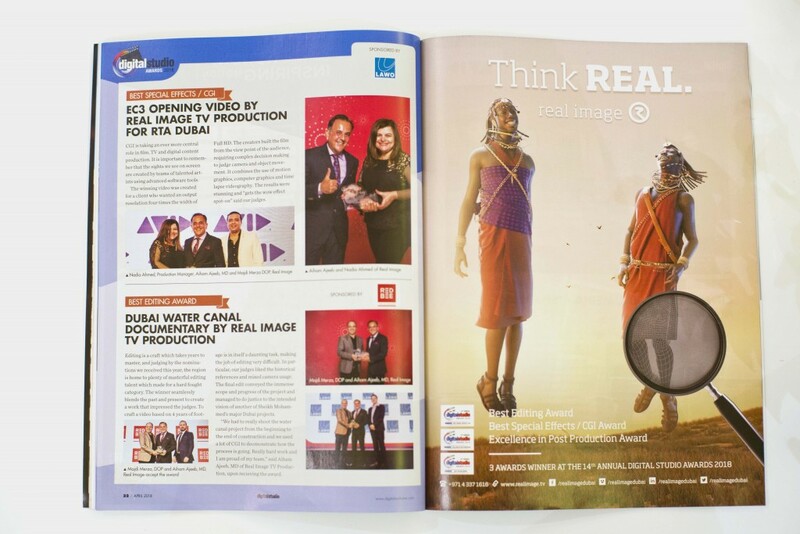 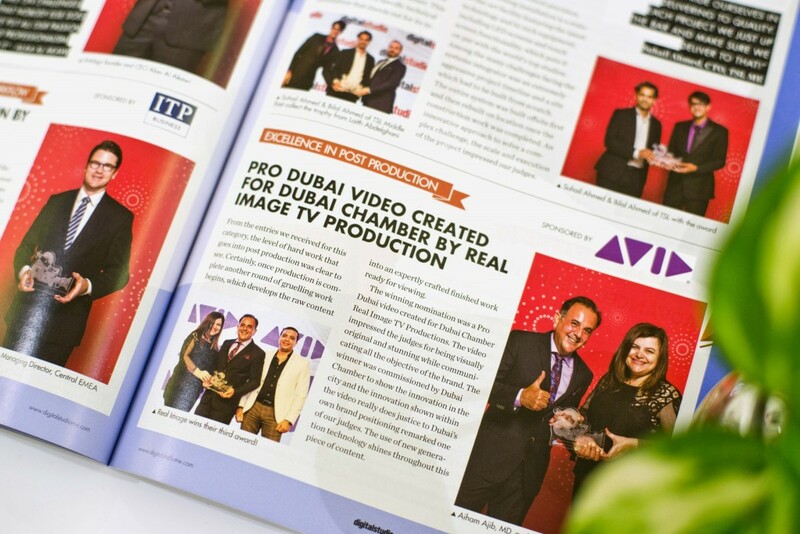 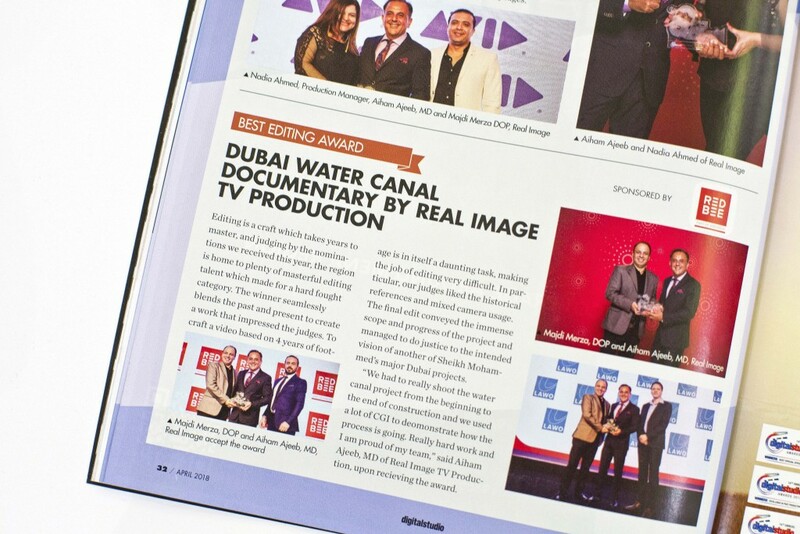 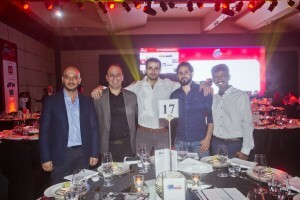 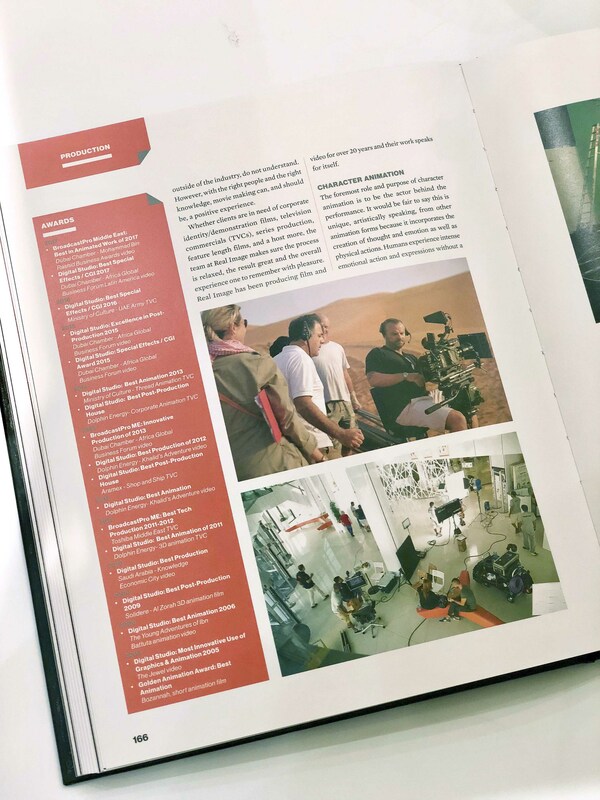 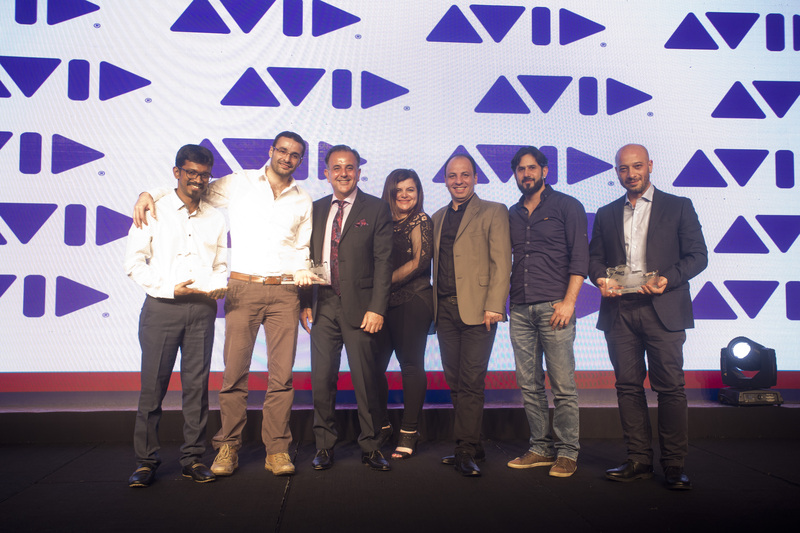 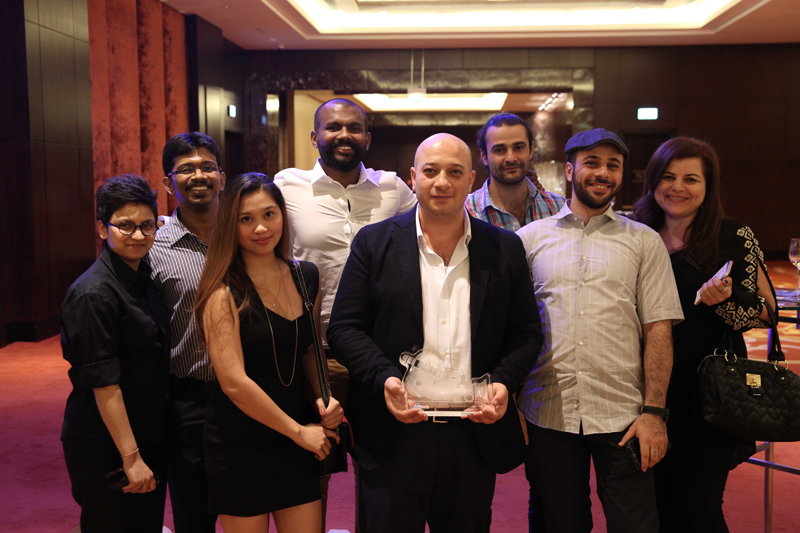 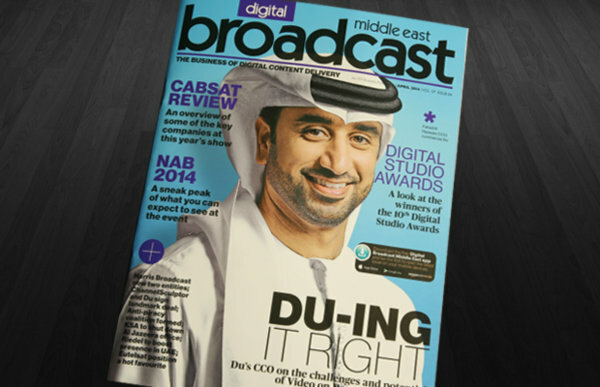 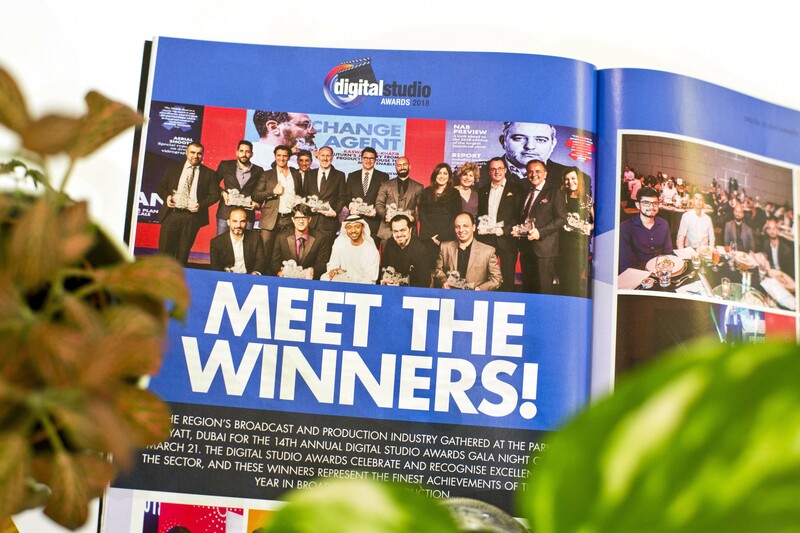 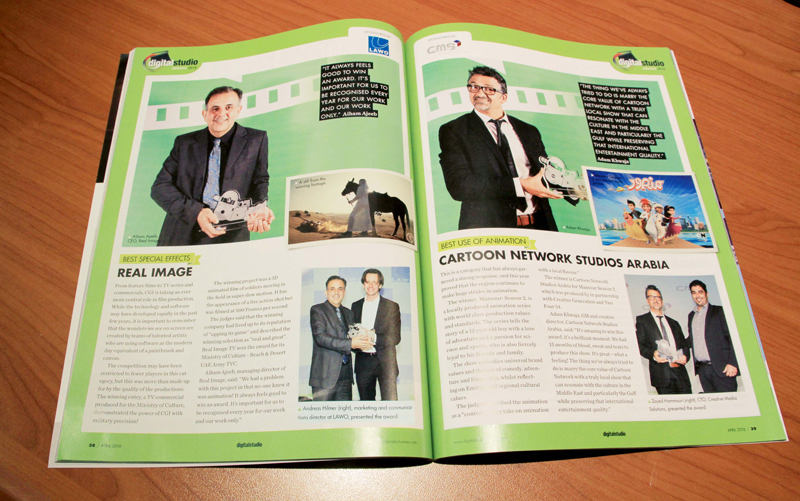 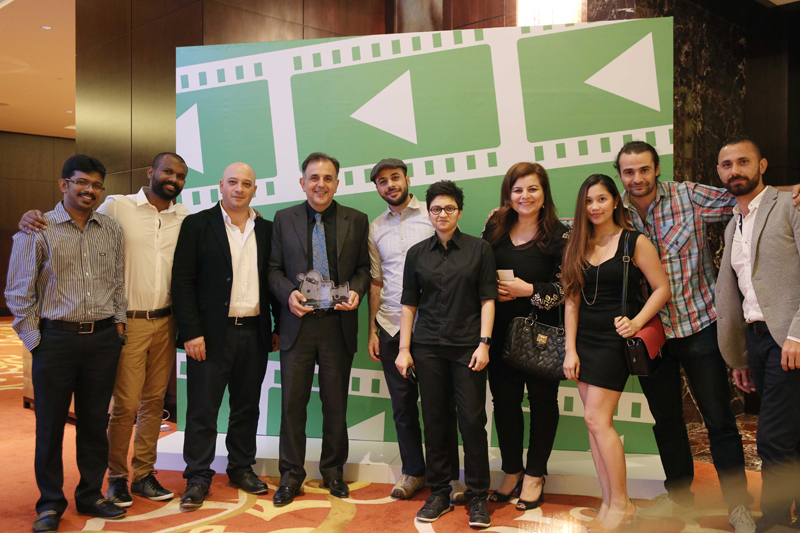 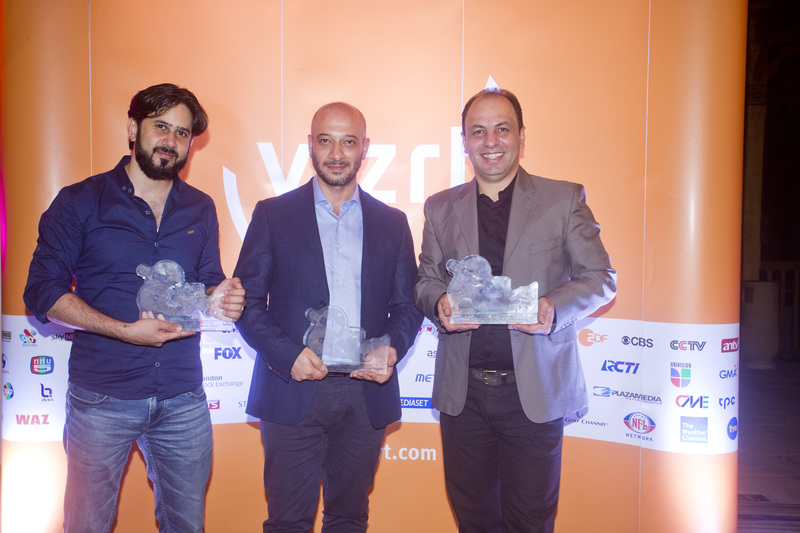 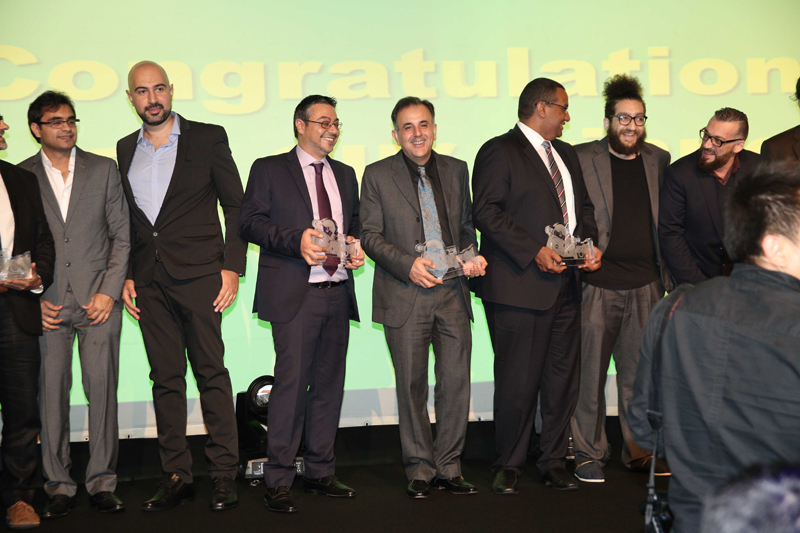 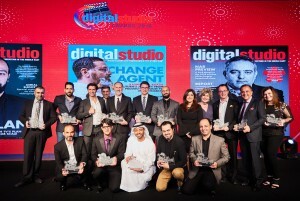 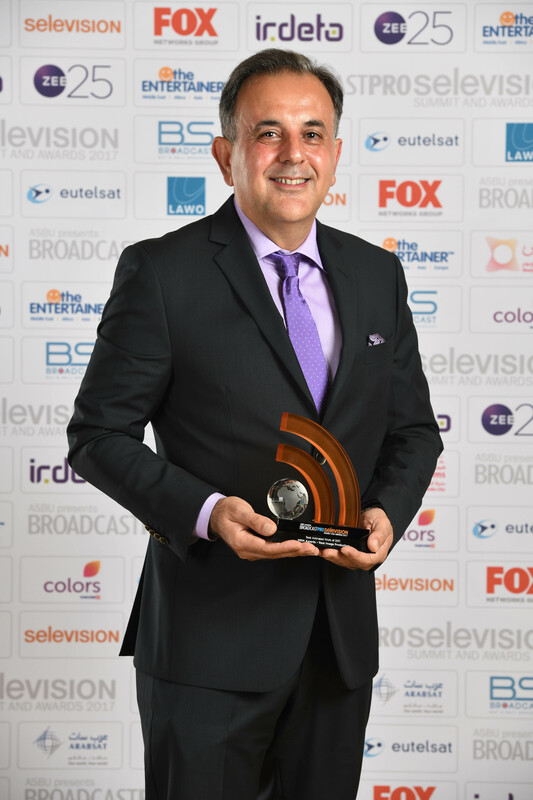 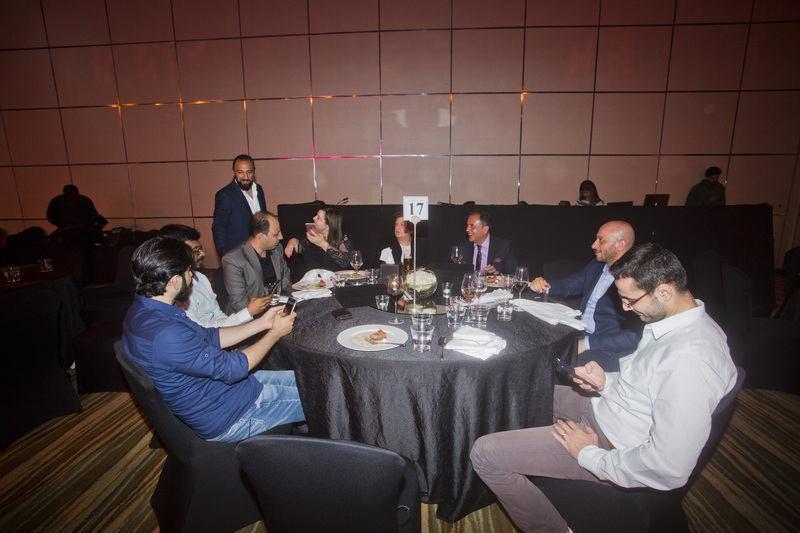 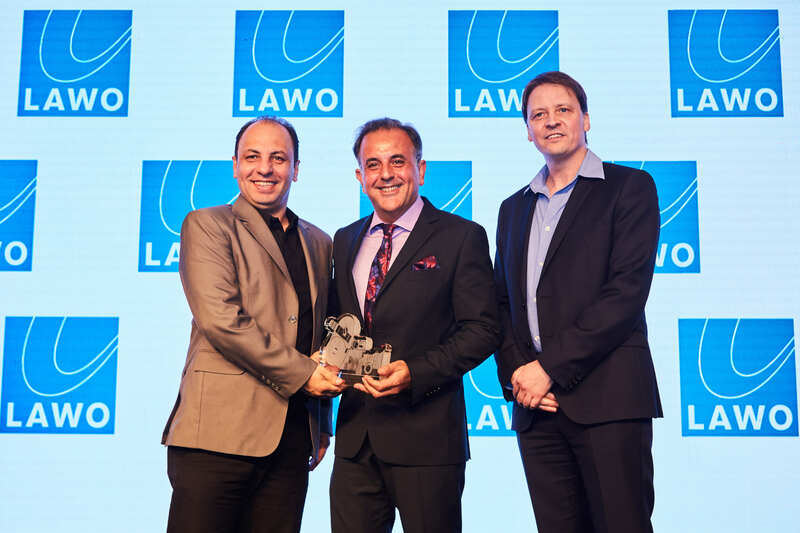 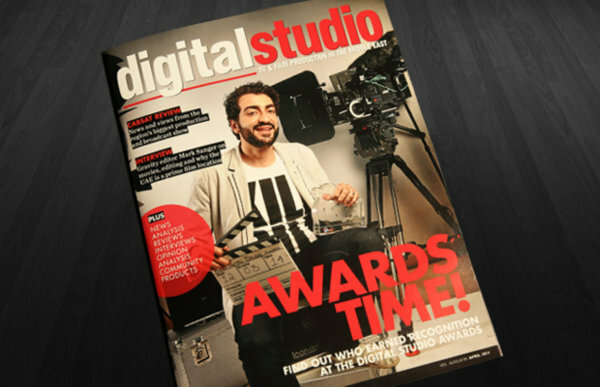 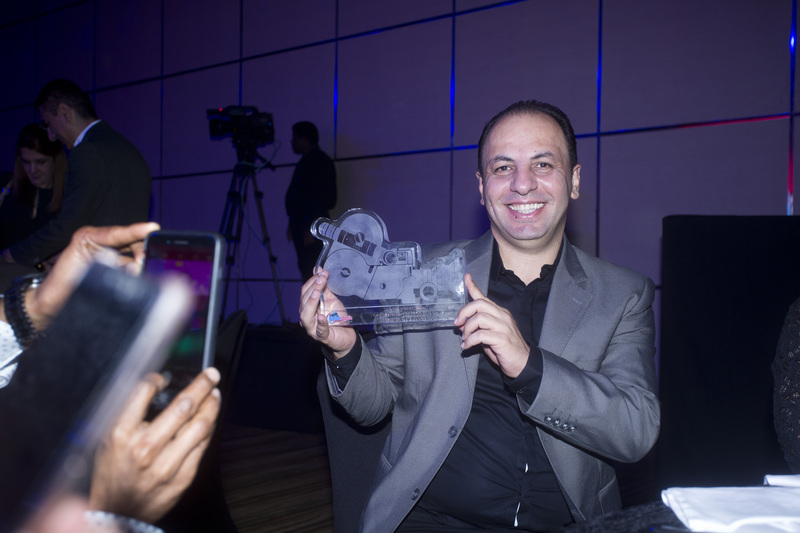 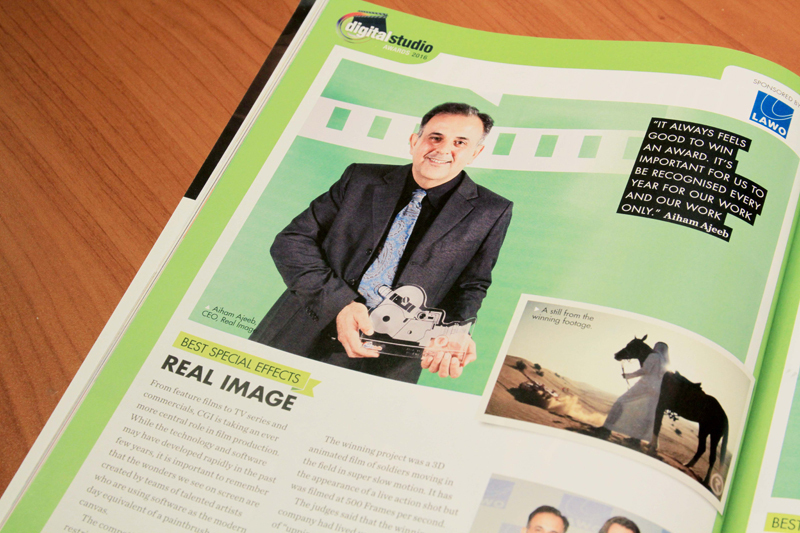 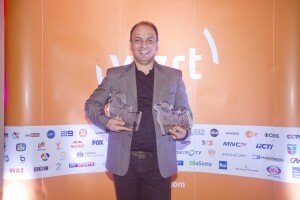 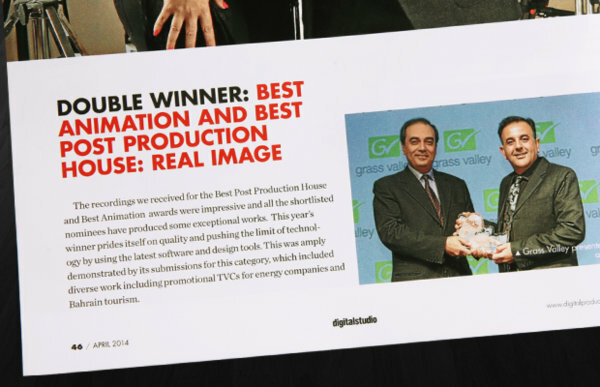 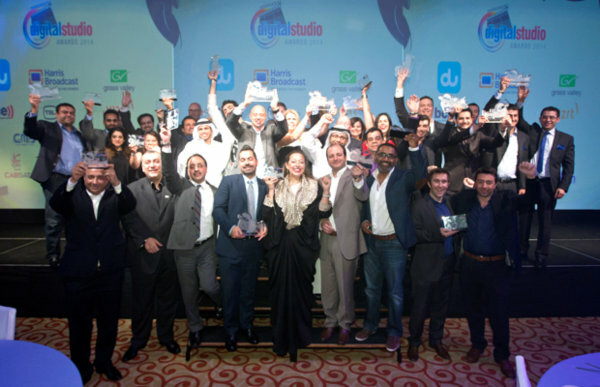 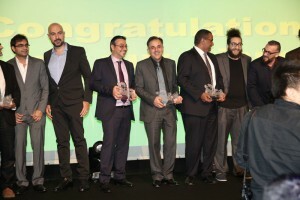 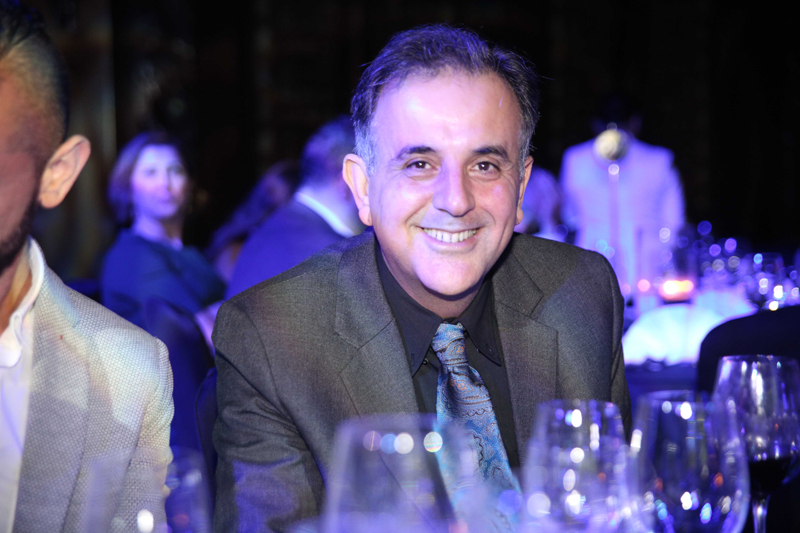 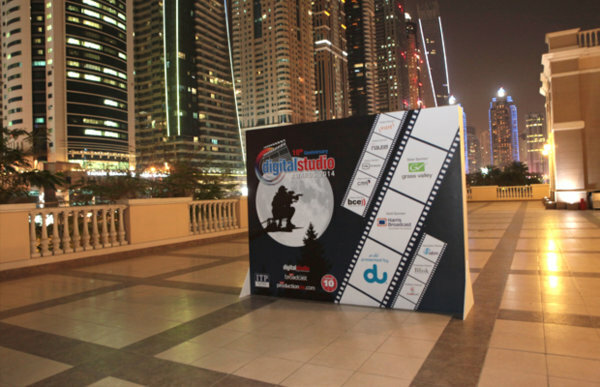 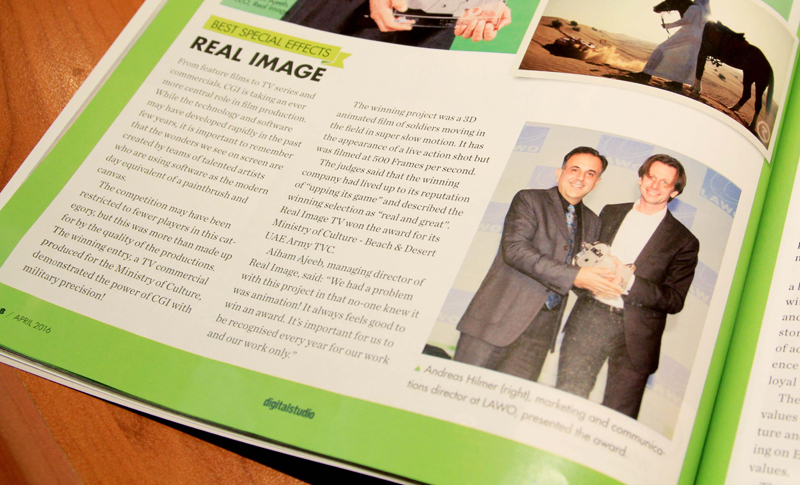 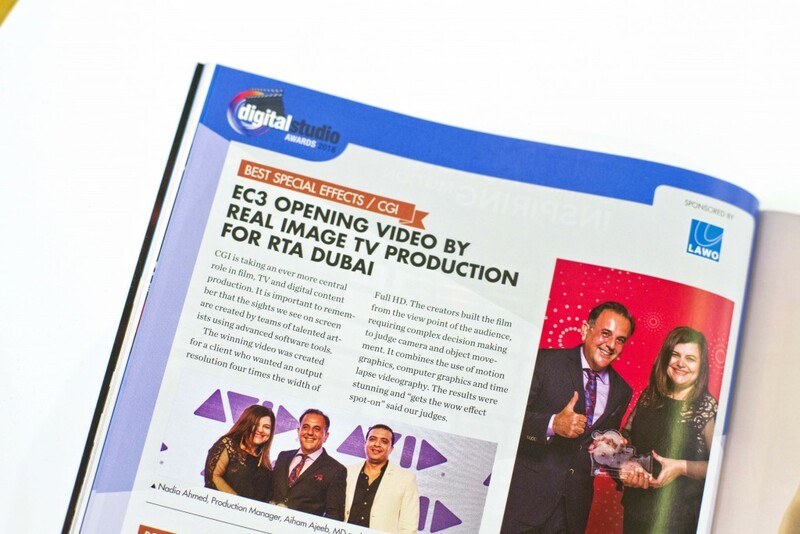 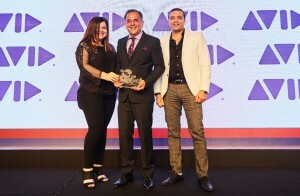 The issue of Digital Broadcast ME and Digital Studio Middle East featured the Digital Studio Awards 2014. 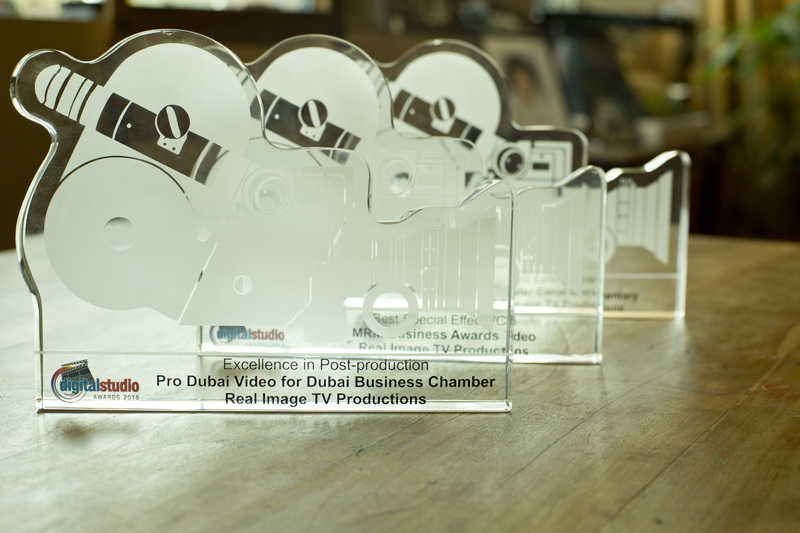 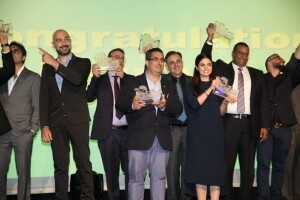 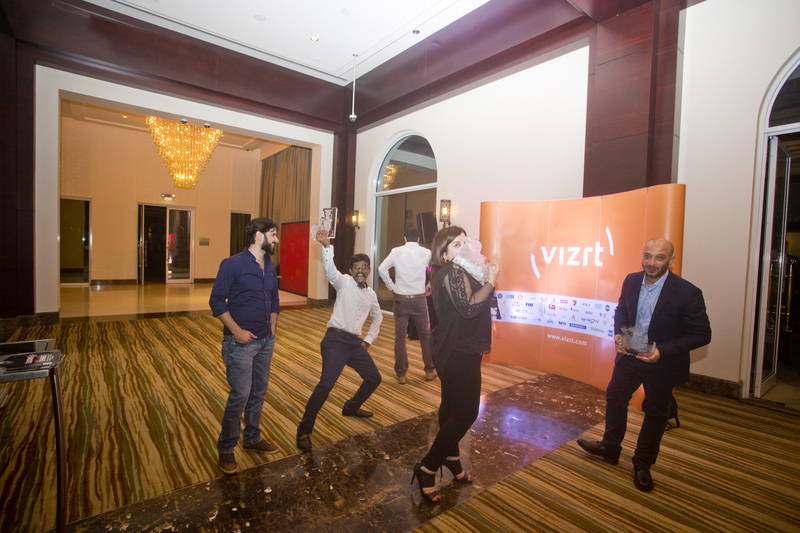 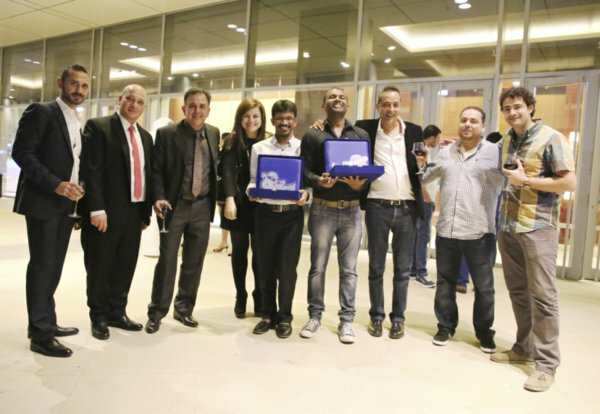 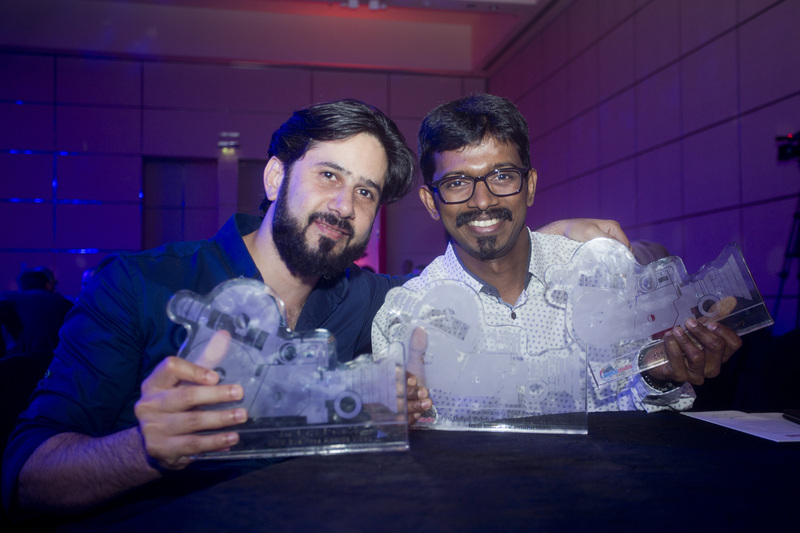 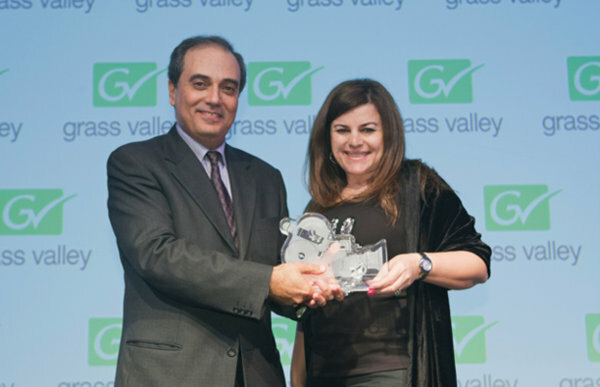 Real Image was among the winners represented by Aiham Ajib, Managing Director and Nadia Ahmad, the Head of Production. 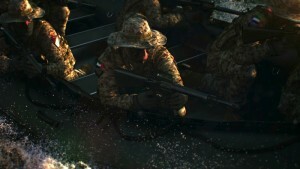 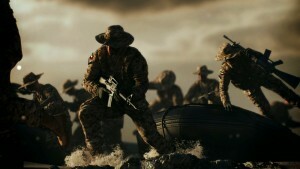 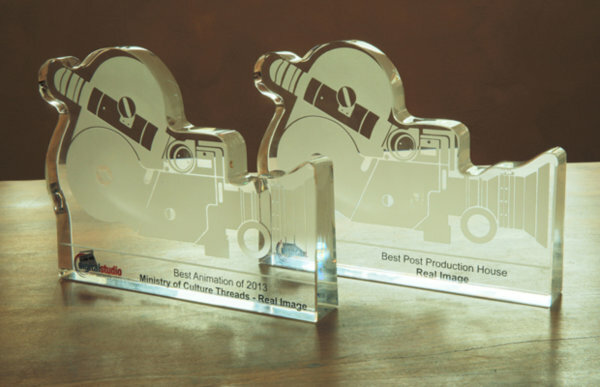 Its work for the Ministry of Culture, Threads won Best Animation of 2013 and Best Post Production House Award for sketch animation, Dolphin Energy. 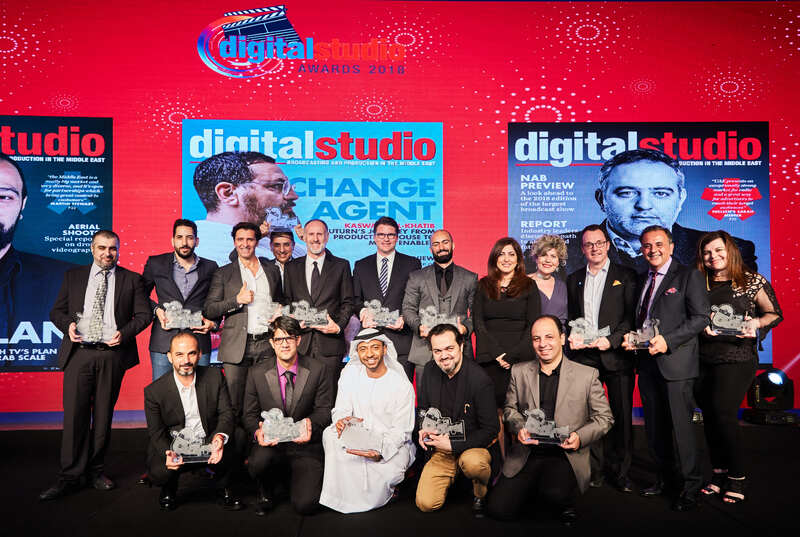 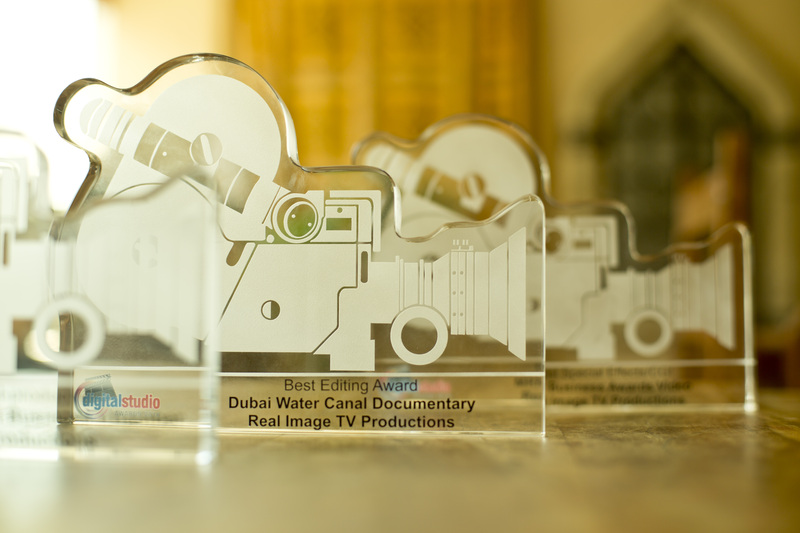 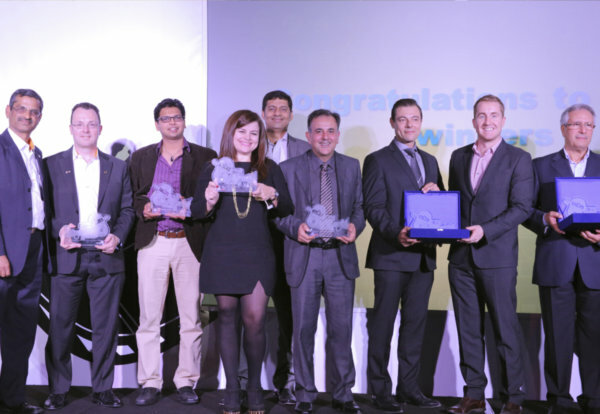 We are proud to announce that Real Image bagged 2 awards for Digital Studio Awards 2014 at The Westin Mina Seyahi. 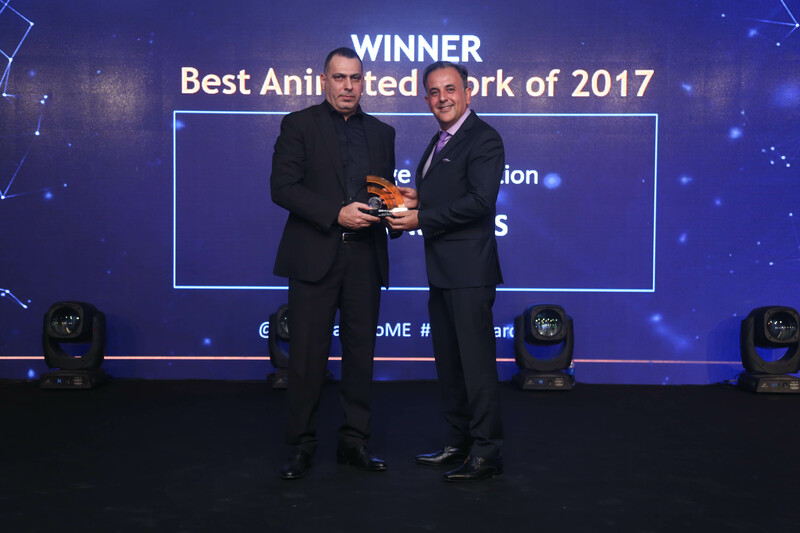 Our work Ministry of Culture -Threads won Best Animation of 2013 and of course, we nailed the Best Post Production House Award featuring the sketch animation for Dolphin Energy.